Hi Lulu Art fans. 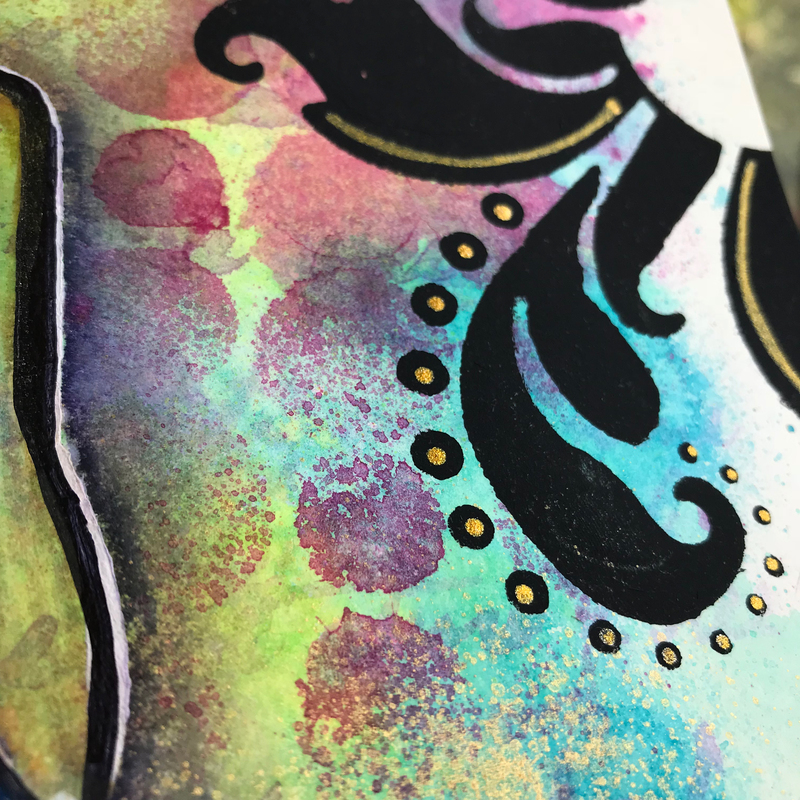 Kate on the blog today to talk a little bit about the new Marabu Mixed Media Sprays in the Lulu Art store. 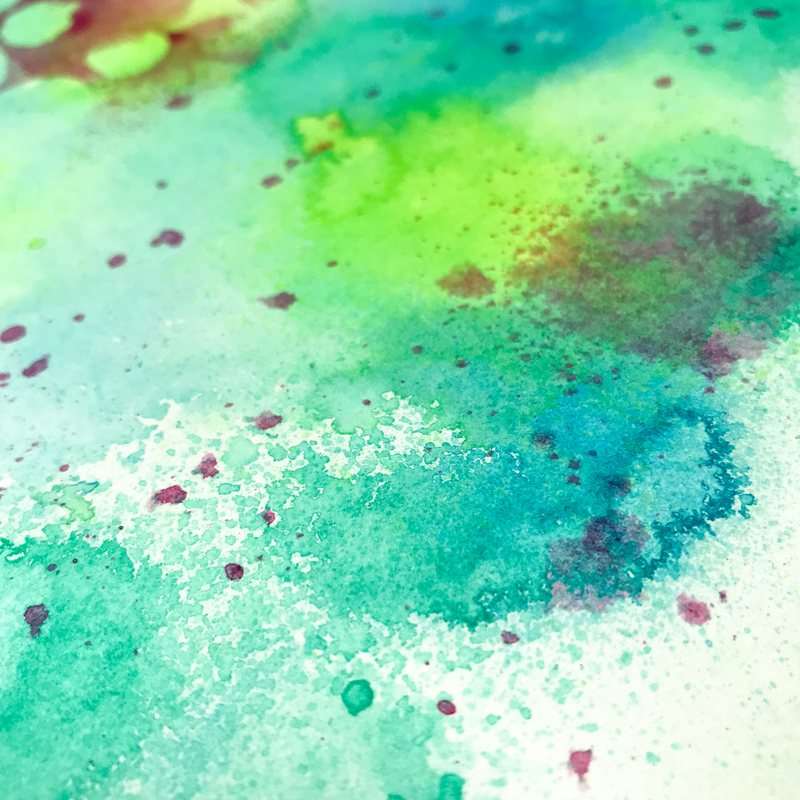 Marabu sprays are described as brightly coloured waterbased acrylics, for light porous surfaces such as canvas, paper, and wood. They are intermixable, water thinnable, quick drying, lightfast and waterproof. Now you all know I’m a total Lindy’s spray die hard, so trying a new spray can be a bit challenging for me as I have no idea how they will react with other products or what I can combine these new sprays with – so I thought I’d give them a little road test with some of my favourite stuff. 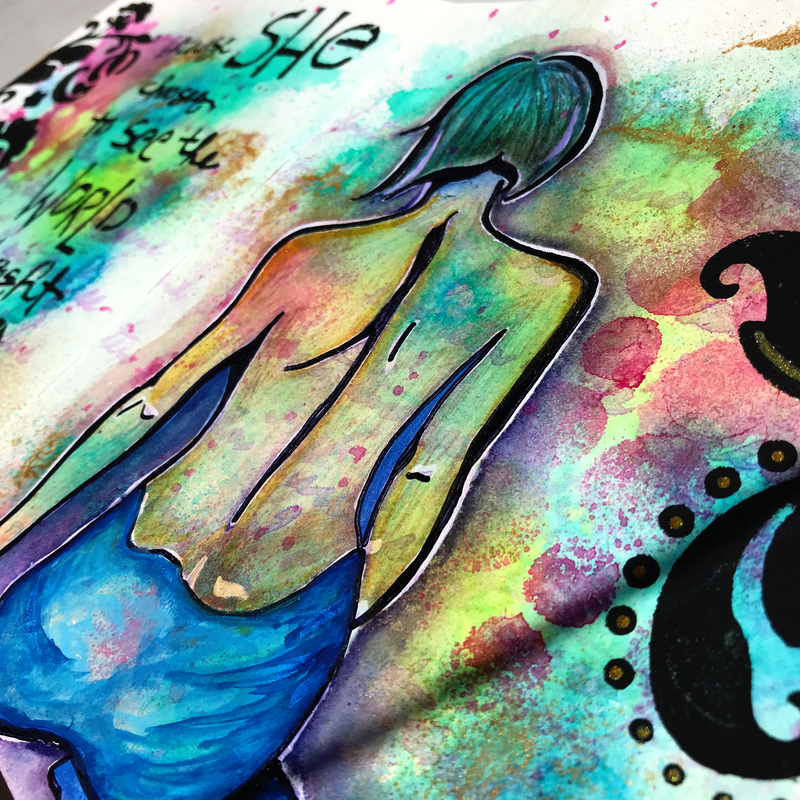 To answer these questions I’ve put a few of the Marabu sprays through their paces and created a Donna Downey inspired art journal page – you can see the page and the steps used to create it in the following clip. I’ve created a quick video so you can see these in action for yourself. Hmm – well this may depend on a few things and might need more testing, just in case the paper I used or the products make a difference! 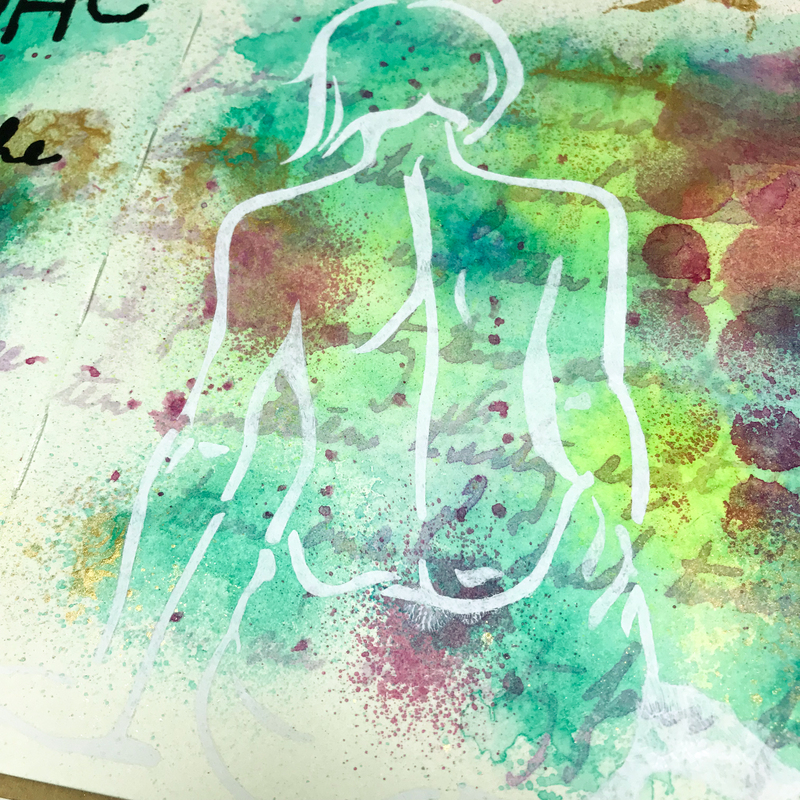 The Marabu acrylic sprays are a great Mixed Media spray and I can absolutely see a use for these in multi-layered artworks! They layer well, though lighter colors disappear over darker colors, which is to be expected. The colours are not reactivated by liquid or paint, so crisp colours can be created over the top, even with white. Depending on how they have been applied you can sometimes see the little particles of acrylic paint and this creates fine patterns (though only when sprayed over a wet surface) – which is a cool effect but dilutes the colour slightly. 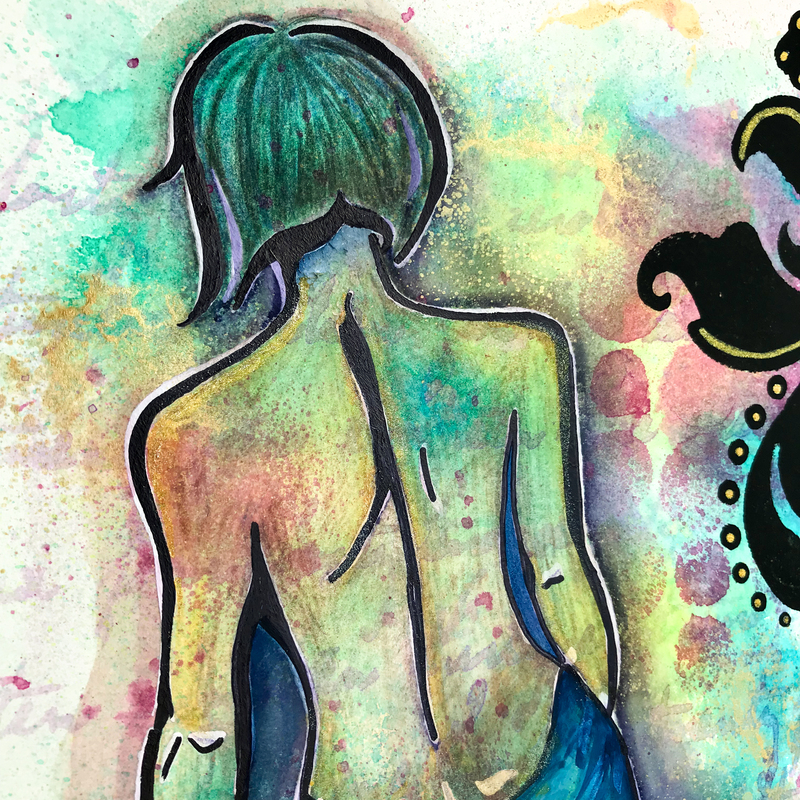 The colors stay wonderfully bright, though are less ‘clean’ in colour than ink sprays, probably due to the opacity! The gold is STRONG and does not play well with other products – by this I mean you can see it sitting on top of all other products and nothing seems to layer over it other than thick gesso or perhaps heavy body acrylics, it acts as a resist! I’ll be using these on my projects when permanent colors are required, the fact that they really are permanent and there is no bleed-through is brilliant!! These will be a handy addition to my mixed media toolbox. 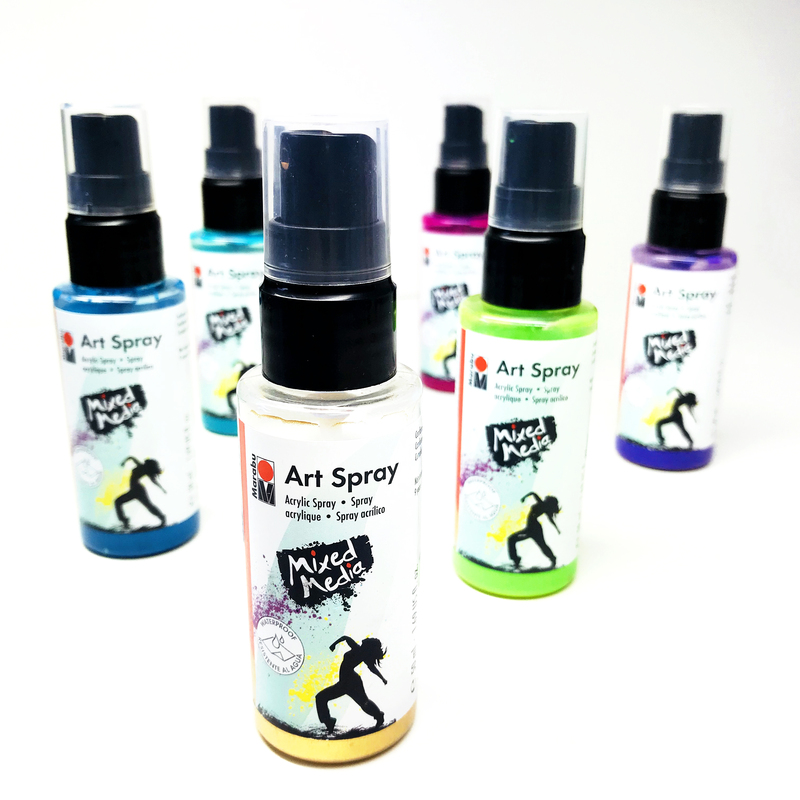 I hope you’ve learned a little more about the Marabu Mixed Media sprays if you have any questions, just leave them in the comments. 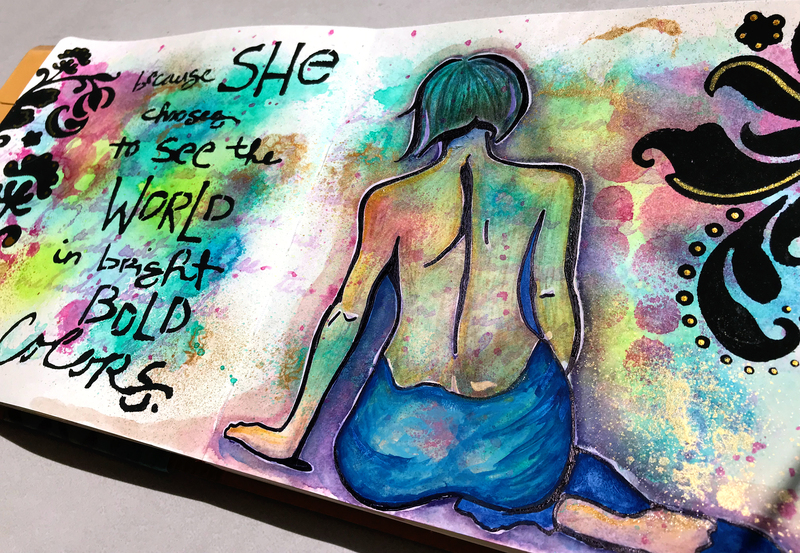 This entry was posted in art journal, Design Team, Mixed Media Tutorial, Product Review and tagged art journal, Kate Palmer, Marabu, review. Bookmark the permalink.